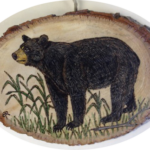 Many of our vendors offer customized items. Your True Nature makes bookmarks with sayings about life; they made a Mt. Tallac one for us; stand tall and proud, rise above it all, get to the point… Maple Landmark made a custom logging truck in honor of the Pope family logging business. 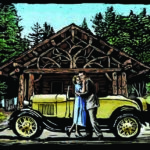 Each year since the mid-1990s the Tahoe Heritage Foundation has commissioned a poster for the Gatsby Festival. 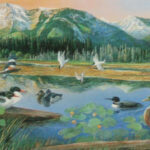 Famed mural artist Larry Eifert created a panorama of the flora and fauna of the Taylor Creek marsh and meadow with Mt. Tallac in the background. 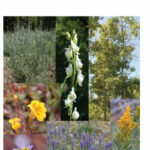 Over the years the staff at the Taylor Creek Visitor Center created a notebook of local wildflowers that is used to answer visitor questions. Visitors regularly asked for copies of pages…or of the whole document. 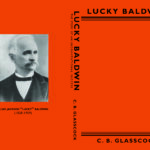 In 1933 the original Lucky Bladwin book by C.B. Glasscock was published. For many years it was republished by Nevada Publications with a forward by Hubbard and was one of the best sellers at the Tallac Historic Site. Several years ago that reprint was discontinued. 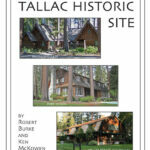 In 1983 Robert Burke and Ken McGowan wrote a small booklet describing the Tallac Historic Site. 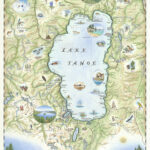 The map sells for $30 with half going to support preservation, restoration and interpretation in the Tahoe Basin. For collectors a limited edition of signed, numbered, giclee prints of this beautiful map are available for $350.